[sc:date] Broken glass adds a whole new level of difficulty to cleaning up chemical spills in the workplace. The sharp, jagged shards of glass can easily cut through the skin, exposing the worker to nearby chemicals. 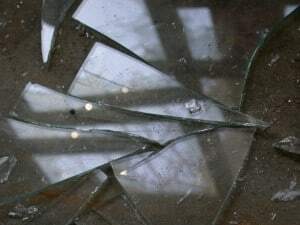 And when it’s mixed in with a medium-sized chemical spill, broken glass can be difficult to see. This is why it’s important for workers to take extra caution when cleaning up spills involving broken glass. 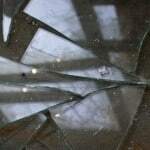 For more tips on how to safely clean up chemical spills with broken glass, keep reading. I’m sure some people will naturally attempt to remove broken glass before dealing with the actual chemical spill. While this may seem like a good idea, a better approach is to contain the spill first so it doesn’t spread. Taking a few minutes to properly control the spill will make cleanup easier, safer and less of a hassle for everyone involved. The exact steps to containing a spill depends on the particular chemicals. Booms and berms are two highly effective forms of containment for most chemical spills, including oil, flammables, corrosives, water-based, and a variety of other chemicals. One of the decisions you’ll need to make when choosing containment berms for a chemical spill is whether you want an absorbent or non-absorbent model. Just as the name suggests, absorbent berms are designed to not only contain a chemical spill, but they also absorb it. Non-absorbent berms, on the other hand, simply control and contain chemical spills so workers can clean them up more easily. With your chemical spill contained, you can now work on removing the glass. Make sure you are wearing heavy-duty gloves, and most importantly: DO NOT attempt to pick up broken glass in a chemical spill with your hands. Even with gloves, there’s always a chance of a glass shard cutting into your hand, exposing it to the potentially dangerous chemicals in the spill. So, what’s the best approach to cleaning up broken glass in a chemical spill? Using a pair of tongs is typically the recommended method. Carefully pick up each piece of broken glass and place it into the bags specified for your chemical spill. Do your best to get as much of the broken glass as possible. Unfortunately, it’s nearly impossible to pick up every tiny speck of glass, but gathering the large pieces will suffice. The third and final step is to absorb and clean up the spill. With most of the broken glass out of the way, you should be able to safely clean the chemical using absorbent towels, mats and similar equipment. Just remember to use extra caution, since there’s always a chance of additional broken glass shards hiding in the spill.